PEARL | Are governments finally facing up to the true cost of disasters? You are here: Home / Uncategorized / Are governments finally facing up to the true cost of disasters? 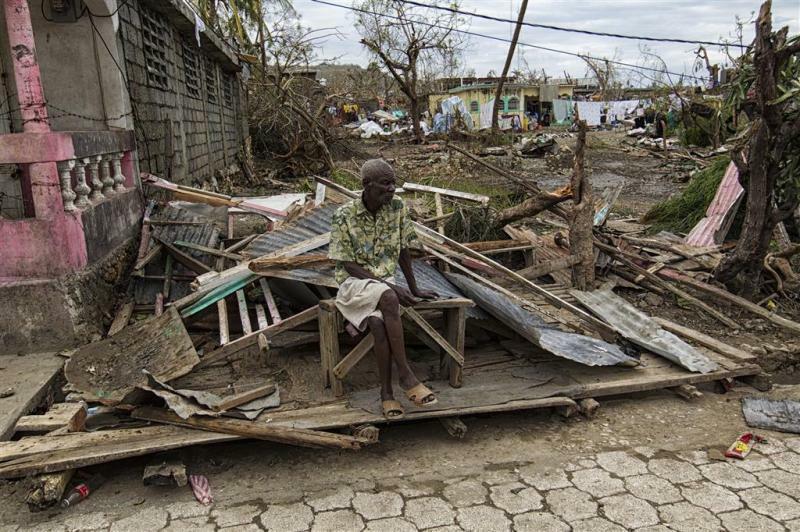 Are governments finally facing up to the true cost of disasters? In March 2015, just as the world was negotiating a new plan to stay safer from disasters, the South Pacific island nation of Vanuatu was battered by a monster cyclone, grabbing headlines and putting the issue firmly on the global agenda. Vanuatu’s president and top disaster officials, who were at the negotiations in Sendai, Japan, were anxious for news and appealed for help from the international community. They lamented the country had lost years of development progress to the disaster and would have to start over again. Now, two years on, as governments, experts and civil society head to the Mexican resort of Cancun for the first global forum on disaster risk reduction (DRR) since the Sendai Framework was adopted, the economic arguments for putting in place measures to protect people and property from threats – both natural and manmade – appear to be largely won. “The losses are increasing so rapidly that governments cannot ignore this problem any longer,” Ricardo Mena, who heads the Americas office of the U.N. Office for Disaster Risk Reduction (UNISDR), told a webinar organised by the Thomson Reuters Foundation and resilience website Zilient this week. The World Bank says the human and economic costs of natural disasters have been underestimated by up to 60 percent. Extreme weather and earthquakes set back global spending by $520 billion per year when the full impact on the poor is taken into account, it calculates. Such new ways of evaluating disasters reveal the true cost for poorer economies – especially developing island nations such as Dominica or Vanuatu, where losses and damage from just one extreme event can equal 100 percent of GDP, overwhelming their capacity to cope, Mena noted. While the total dollar amount of losses from floods, a tsunami or a tornado may be far higher in the United States or Japan, the cost tends to be quite small relative to the size of wealthy economies, he said. “For a small island developing state, it’s fundamental for its subsistence to pay more attention to disaster risk, and they usually don’t have enough resources to do so – and that’s when international cooperation needs to kick in,” the humanitarian expert told the live discussion. While the Cancun conference is not expected to yield major new pledges of aid to help countries prepare for and prevent disasters, a high-level discussion bringing in several world leaders will focus on how to cut economic losses by building infrastructure that is more resilient to extreme weather and earthquakes. Mexico’s president asked to focus on this topic because the country views better infrastructure as one of the most important ways of moving from managing disasters to managing the risks of disasters – and thereby warding them off, as the Sendai Framework aims to do, Mena noted. “Development takes place, but if it is not informed by disaster risk, then that development may be actually increasing your stock of risk towards the future,” he said. For example, if you build a school in a flood-prone area or without respecting seismic building codes, then it is very likely to be destroyed when a hazard hits, he emphasised. And with urbanisation speeding up around the world, a lot of infrastructure is going to be built, particularly in urban areas, that needs to be robust, sustainable, and take disaster risk into account, he added. Dan Lewis, chief of urban risk reduction with UN-HABITAT, said that rather than focusing purely on the costs of disasters, which tends to “frighten people away”, the best approach is to flag up the positive benefits of urbanisation and how those can be used in ways that lessen threats. For example, in highly flood-prone New Orleans, city hall is working to expand “green infrastructure”, such as rain gardens and grassy strips along roads, that can absorb excess water while serving as leisure areas for residents and also cutting pollution. Internationally, efforts to bring together different strands of the global agenda on disasters, development and climate change are slowly starting to happen, the two experts said. But Lewis stressed the need for stronger connections between national and local governments – a question that will be addressed at a day-long symposium in Cancun before the main U.N. conference kicks off. The indicators required to measure progress towards the Sendai Framework’s seven targets – which include substantial decreases in deaths and economic losses from disasters by 2030 – are now being tested by more than 80 countries, and should draw on information and activities by local governments as well as national-level data, Mena noted. The Sendai plan also includes recommendations for how its priorities on understanding and managing disaster risk, investing in resilience and preparing for and recovering from disasters can be followed at the local level, he added. Next week’s Global Platform on Disaster Risk Reduction will have a wide range of participants, including community groups and the private sector. Only 40 percent of those attending come from governments, he said. The Sendai Framework was negotiated at the top level between governments, but it is centred on what people actually need to stay safe, because efforts to reduce disaster risk must begin at home, Mena emphasised. “This notion of disaster risk reduction has to start from the individual up… because if it doesn’t, it’s quite difficult to convince people they should do it,” he told the webinar. “If you have people more conscious of it, they may (then) take very simple measures to reduce their vulnerability or exposure,” he said. This article was originally posted on PreventionWeb. Read the original story here.